Mapping from relational data to Linked Data (RDB2RDF) is an essential prerequisite for evolving the World Wide Web into the Web of Data. We propose a methodology to evaluate the quality of such mappings against a set of objective metrics. Our methodology, whose key principles have been approved by a survey among RDB2RDF experts, can be applied to evaluate both automatically and manually performed mappings regardless of their representation. 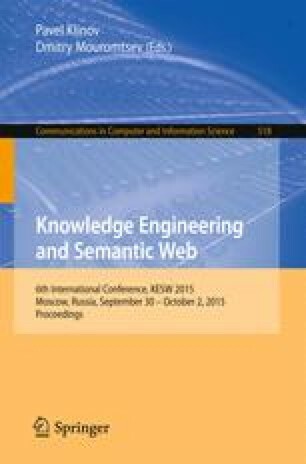 The main contributions of the paper are: (1) assessing the quality requirements for mappings between relational databases and RDF, and (2) proposing methods for measuring how well a given mapping meets the requirements. We showcase the usage of the individual metrics with illustrative examples from a real-life application. Additionally, we provide guidelines to improve a given mapping with regard to the specific metrics.